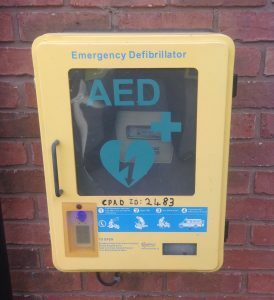 You may know that we have a defibrillator at the school and also that we have people trained in its use both in the school and in the community. The next major development is to form a team who can respond to local emergencies when contacted by West Midlands Ambulance Service. The Parish Council have paid for training and David Shearan, from the community, has volunteered to lead the formation of the team. More information will follow. If you are interested in joining the team then please use the contact form on the website.